Quotes Find: I'm starting to think that I drink too much. The last time I gave a urine sample, there was an olive was in it. I'm starting to think that I drink too much. 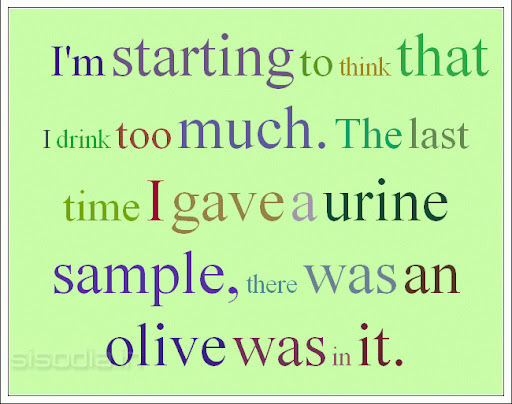 The last time I gave a urine sample, there was an olive was in it.